The Wall is a mini 5-page website template using jQuery slider for page transitions. 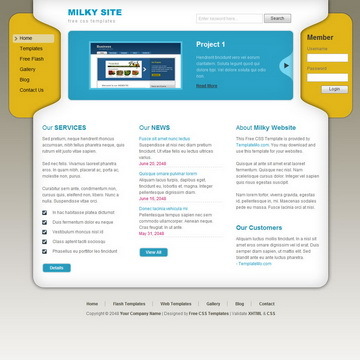 Milky Template is a 3-column website layout using blue, yellow and white colors in a perfect combination. 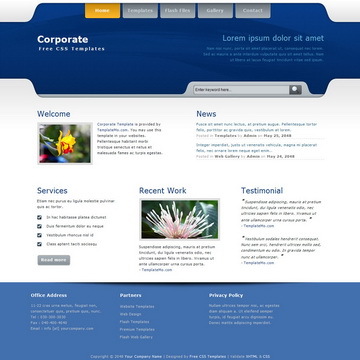 Corporate is a free website template using a dark blue header and you can apply this layout for your business websites. 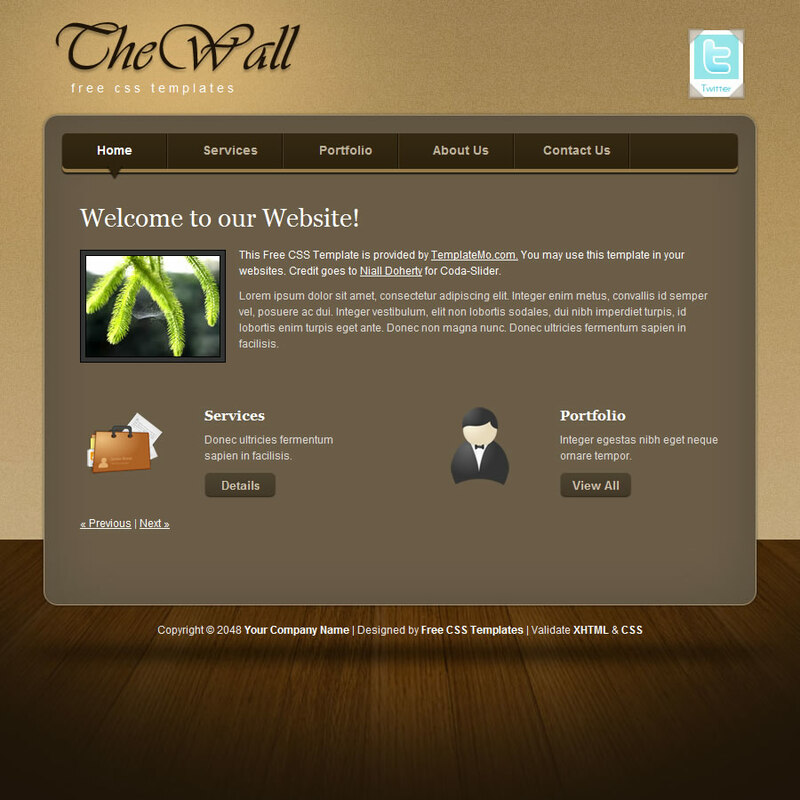 Wall Template is licensed under Creative Commons. Permissions beyond the scope of this license is available here. 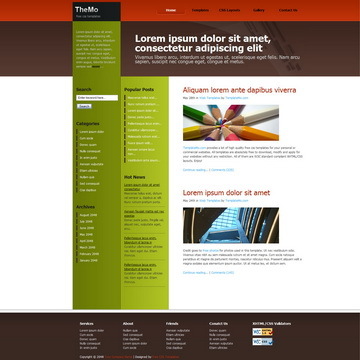 You are allowed to download, edit and use this Wall HTML CSS layout for your commercial or non-commercial sites. Please share Wall Template to your friends. Thank you.